With the wind in your hair and the call of ‘Hep! Hep! Hep!’ there isn’t really a more Canadian way to traverse Canada’s frozen forests, tundra, lakes and rivers. An unforgettable winter wonderland experience, there are dogsledding options for all kinds of adventurers. See the dogs’ warm breath create soft clouds in the Arctic air as you become a master musher. It’s a great add-on activity in Churchill, should you come to see the polar bears or Northern Lights. When’s the last time you let a pack of dogs pull you on a sled through a winter wonderland? It’s a Canadian winter experience you’ll remember for the rest of your life. 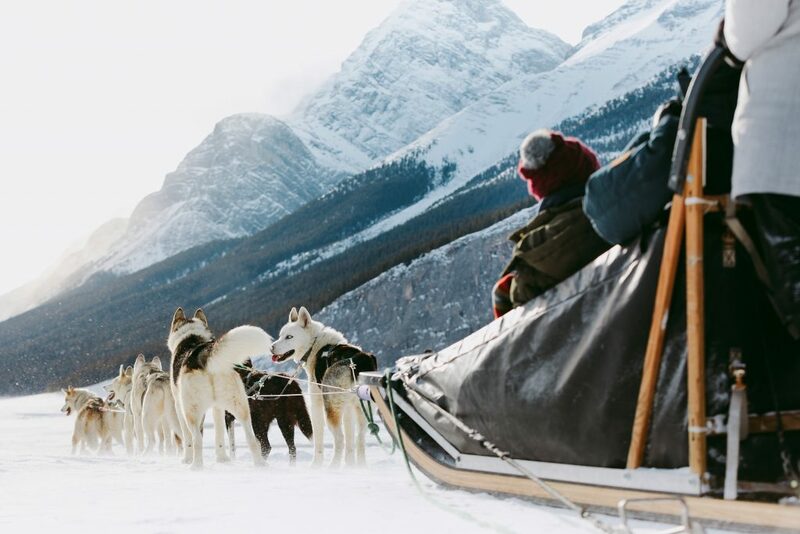 If this four-legged adventure is on your bucket-list - whether it’s in the Arctic, the Rockies or on the West Coast - we’ll help you choose the where, and we’ll take care of the how.